Meat can be difficult to store, but provides important calories and nutrients for sustenance that can’t be ignored. 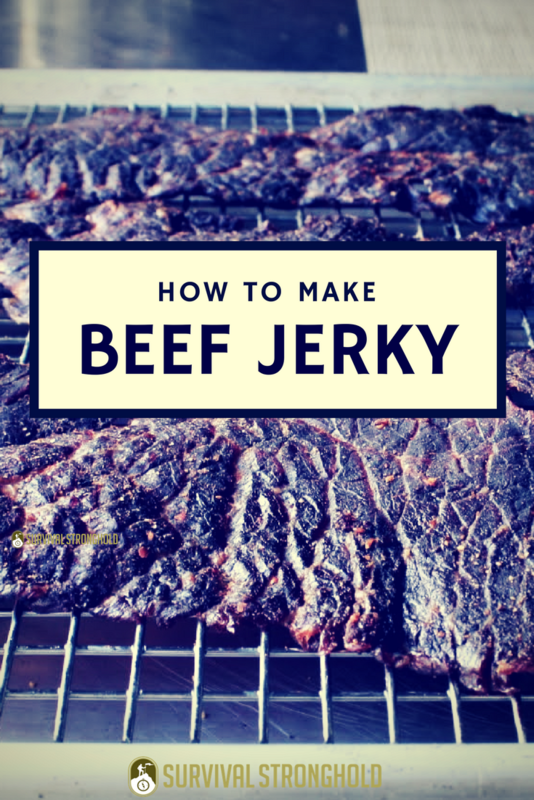 While beef jerky will only last a few months on the shelf, it’s still worth knowing how to make. You can make in large batches, keep on hand, and simply freeze or eat before it spoils. If a disaster strikes, you’ll be glad you made some. It is of course great for hiking or camping, as you can bring it along with you and it will keep for weeks in your pack without refrigeration. It also offers optimum protein and iron, which are great for physically exerting activities like hiking or backpacking. Trim as much of the fat off the steak as you can, and then freeze for 1-2 hours to get it firm before slicing. Slice the steak into thin strips, going along the natural grain of the meat. Mix the rest of the ingredients together and toss with the steak strips in a marinade container of choice. A large, shallow Tupperware-type container or Ziplock bag will work. Let marinate in the fridge for 24-48 hours. 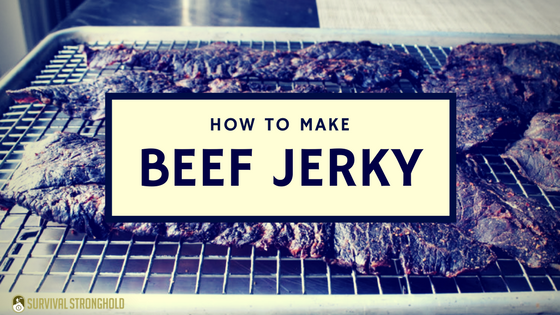 Once you’re done marinating, lay out the strips on dehydrator sheets and set your dehydrator to 155, or whatever the setting is for jerky. Dehydrate for 4-6 hours, checking frequently to determine when it is dried to your liking. Store in an airtight container. Vacuum sealed it will last several months, in another airtight container just a few months. Or you can keep in the freezer for at least a year. Enjoy!